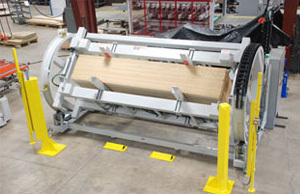 Creative Automation Flipping Machinery for Wood Product Material Handling Applications – Creative Automation, Inc.
Creative Automation designs and builds Flipping Equipment in all configurations, and handling a wide variety of products. 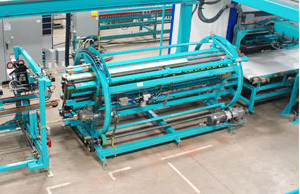 Methods include: vacuum, fork, clam shell, barrel and 90 degree. 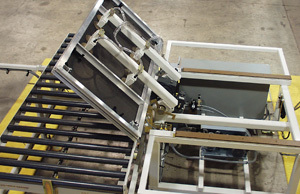 In-line barrel turnover inverting kitchen countertops as needed in an automated countertop stacking system. 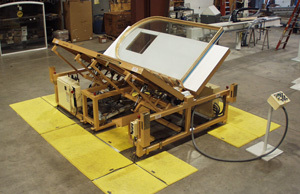 Clam shell flipper is ideal for turning over heavy or bulky product, eliminating injuries and increasing throughput. 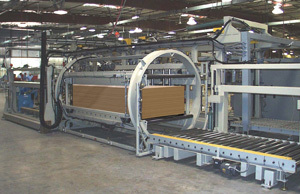 Stand-alone bunk turnover in our facility prior to shipment. 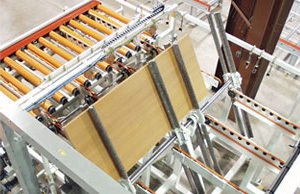 Vacuum flipper handling staging platforms.